SkyTraq Technology Inc. introduces S1216DR8P GPS/GNSS dead-reckoning receiver, integrating 3-axis gyroscope, 3-axis accelerometer, and barometric pressure sensor with GNSS receiver. S1216DR8P provides 100% coverage; ideal for vehicle navigation, tracking, and ADAS applications requiring highest performance, reliability, and uninterrupted positioning. SkyTraq Technology Inc., a leading fabless GNSS positioning technology company, introduces S1216F8-GI2, a NavIC + GPS/GAGAN receiver module for the emerging Indian market. SkyTraq Technology Inc., a leading fabless GNSS positioning technology company, introduces S1722DR8 GNSS dead-reckoning receiver, integrating 3-axis gyroscope/accelerometer and barometric pressure sensor with GNSS receiver. 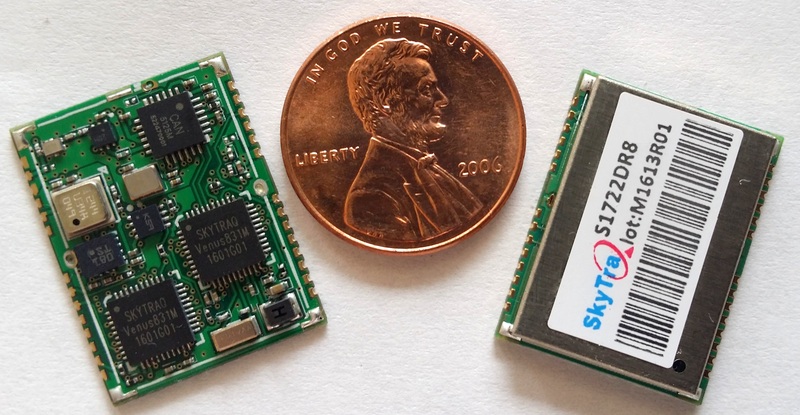 SkyTraq Technology Inc., a fabless GNSS positioning technology company, introduces S2525F8-RTK, a low-cost, low-power, single frequency RTK receiver for applications requiring centimeter-level accuracy positioning. S2525F8-RTK is a multi-constellation GNSS RTK receiver that can use 12 GPS, 8 SBAS, 6 BDS, and 1 QZSS signal. In situations where RTK fix is not possible, a Float RTK mode can be used for decimeter-level accuracy positioning. A moving-base mode is also supported for precise heading GPS compass application. Its 25mm x 25mm form factor, 3 gram weight, and 250mW power consumption makes it ideal for any outdoor mobile applications requiring high precision RTK positioning. 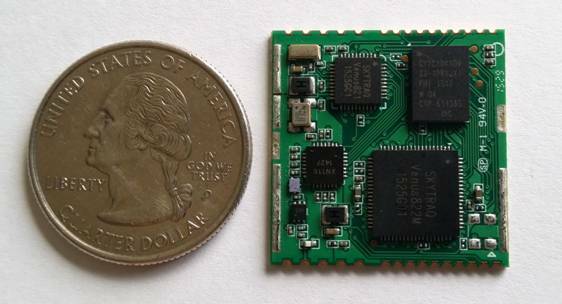 SkyTraq Technology Inc., a fabless GNSS positioning technology company, introduces S2525F8-BD-RTK, a cost effective, low power, small size, single frequency RTK receiver for unmanned aerial systems and mobile platforms requiring centimeter-level position accuracy. S2525F8-BD-RTK is a multi-constellation GNSS RTK receiver that supports GPS, BDS, QZSS, and SBAS; simultaneously tracks up to 28 satellites. Its 25mm x 25mm form factor, 300mW power consumption, and 3 gram weigh makes it ideal for any outdoor applications requiring high precision RTK positioning.